As we wrap up the decade, what better time to mention my favorite books of the last ten years? And, yes, I did keep track of all of the books I read this decade, so I can look back, and say, these are the books that still resonate with me. Here's my toast to ten years of book-related pleasure. But, let me start by mentioning some of the best book-related events of the last ten years. Three items top the list. In 2008, my niece, Elizabeth, challenged me to see who could read the most books. She was in fourth grade by the time we finished (fifth now), and she beat me. It was a fun way to keep both of us reading. My mother made me a pillow that says, "I had a father who read to me," with a picture of my Dad, and then she ended the decade on a high note, with the gift of the Little Women purse. It's been a wonderful book-related ten years. I had a great time for five years as Chair of the Authors' Programming for the Lee County Reading Festival in Florida. I worked with wonderful friends, and great authors. Thanks to the Reading Festival, I met Stacy Alesi, the BookBitch. She allowed me to review for her for a few years, until I became so involved in my blog, I couldn't keep up. Thanks, Stacy! And, I learned to blog once I arrived here in Glendale, Arizona, when my boss sent me to a workshop. I want to thank all of the authors I've met via my blog, and Barbara Peters at the Poisoned Pen for introducing me to many of them, and giving me the chance to host them at the library. We've now been hosting authors for Authors @ The Teague for just over two years. It's been a wonderful way to bring authors to the community. In the last five years, I've reviewed books for Library Journal, Mystery News, and now, thanks to Janet Rudolph, for Mystery Readers Journal. Thank you to all of the editors for allowing me to share my opinions. I also had the chance to teach Readers' Advisory classes at libraries in Arizona, a fun experience. A special thank you to Jen Forbus, who continues to push me to do more as a blogger, and do it better. Thank you to the bloggers who have allowed me to have a day to talk about a book, my life, or even food! And, of course, the most appreciation goes to Jim, who encourages me in every book-related activity, bought me cameras, and, most of all, reads right alongside me every night, so I can read as much as I do. Thank you, Jim. Now, here's my toast, year by year, to the books and authors that meant most to me over the last ten years. 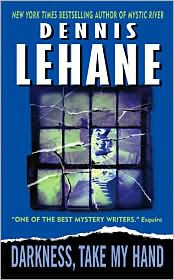 In 2000, I discovered Dennis Lehane's Kenzie and Gennaro mysteries. Darkness, Take My Hand was my favorite. I corresponded with Dennis for two months before hosting him at the Lee County Reading Festival. He was funny, honest about his weakness as a moderator, and, since he was writing Mystic River at the time, answered my emails immediately. (I think he was trying to avoid writing.) Now, after the success of his standalones, we may finally see another Kenzie and Gennaro book. I read 148 books in 2000, but it's Dennis Lehane's books that stand out. I have to say, I read 146 books during 2001, but not one book stood out. It was a good year of reading, but there was nothing exceptional. 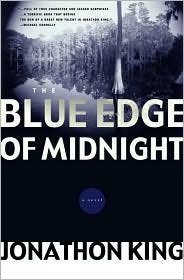 King's debut novel, The Blue Edge of Midnight. The book went on to win the Edgar Award for Best First Novel, and deservedly so. So, a toast to a book that I pushed so much at my library that we more than doubled the circulation over any other branch in the system. This first Max Freeman mystery included the most atmospheric description of the Everglades that I ever read. These were my favorite books of 2002, out of 170 I read that year. No matter how you feel about the book, 2003 was the year of Dan Brown's The DaVinci Code. It was also the year I discovered Jim Butcher's Dresden Files, a series I'm still reading. I read 130 books in 2003. In 2004, I changed jobs, moving from Florida to Arizona. That meant much of the year was in upheaval, so I only read 97 books. None of those books stood out. 2005 brought the debut books for two authors who still remain favorites. 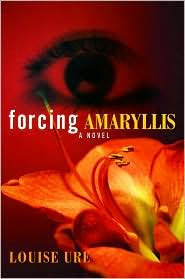 Louise Ure went on to win the Shamus Award for Best First Novel for Forcing Amaryllis, a book that still has one of the most striking covers I've ever seen. And, Chris Grabenstein's first Ceepak novel, Tilt-A-Whirl, won the Anthony for Best First Novel. A toast to two of my favorite authors. You were the highlights of the 145 books I read in 2005. 2006 was so special. I read 154 books, including Robert Fate's Baby Shark, Louise Penny's Still Life, and Tallgrass by Sandra Dallas. Now, Baby Shark is looking like it will be release shortly as a movie. Since Still Life, Louise Penny has become a special person in my life. I've had dinners with her and her husband, Michael, along with a couple book friends, Patti and Kay. I own autographed copies of all of her books. Her books appear on my favorites list every year. And, no one writes more beautiful blogs. I've loved Sandra Dallas' books since reading Persian Pickle Club. But, I encouraged so many people to read Tallgrass. Now, it looks as if I'll finally have the chance to meet her in May, 2010, when she comes to Phoenix to discuss her new book, Whiter Than Snow. 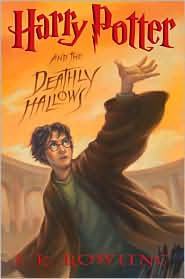 2007 marked the end of the Harry Potter Decade, when J.K. Rowling's final book in the series, Harry Potter and the Deathly Hallows was released. Even more than The DaVinci Code, this was a series that dominated the years between 1999 and 2007. Bookstores and libraries held midnight release parties. J.K. Rowlings' books changed the NYTimes Book Review bestsller lists. Kids and adults throughout the world were reading, and talking about Harry, Hermione, and Hogwarts. And, just like everyone else, I preordered this last book, so I could own my own copy and have it on publication day. It was just one of the 164 books I read in 2007. I ended this year with 201 books, a record for me. It was the year I read two fantastic young adult fantasy books by the same author, Suzanne Collins. Her books, The Hunger Games and Catching Fire were riveting, and I can't wait for the third in the series. But, it was also the year I found a new author, and new friend. Beth Hoffman's book straddles two years, and two decades. Most people won't get a chance to read Saving CeeCee Honeycutt until January. I was lucky enough to be assigned Beth's debut novel by my editor at Library Journal. Beth emailed to thank me after the starred review appeared, and we've been writing each other ever since. I'm not going to get a chance to see her on her book tour in 2010, but I wish her all of the luck in the world. Her book, and our new friendship, is one of the highlights of 2009. I read 1524 books in the first decade of the 21st century. And, since I seldom finish books I don't enjoy, those books represent hours of pleasure. Thank you to all of the authors who shared their thoughts and hearts over those years. And, thank you to all of the bloggers I've "met" who've commented here, and allowed me to comment on their blogs. So, here's my toast to authors, bloggers, books, and readers everywhere. The last decade was a special one. And, here's a salute, with hope, to 2010, and the next decade of books (in whatever shape they take). I'm sure readers will still be sharing our opinions somehow. It's been my treat to share my love of books with all of you. So, Happy New Year's, and, Cheers! What a wonderful way to remember the decade. Hope the New Year and new decade brings many, many more good books to read. Happy New Year, Mason! When I look back at the ten years, it's my time with Jim, and all of the book-related events that mean the most to me. I had an interesting ten years. I hope the next decade has good books in store for all of us! Lesa, thank you so very much for sharing info about your last 10 years of reading with us. It was very nice to walk through the last decade with you. I am so thankful that we've gotten to know each other through the internet and I look forward to sharing many more talks with you in the coming days. I wish both you and Jim a very lovely New Year! I'm going to have a new focus to my life in 2010 and will be turning back to blogging some. Stop by and see me when you get a chance. Also, we plan to head to Phoenix in early February. Let's get together if we can. I'll email you when our plans are set. Big hugs to you! You are amazing! I love your decade! Full of books and friends. I hope the next one brings as many joys and professional successes! I'm looking forward to your blog again. Thanks for the heads up, and I'll be heading over there. It was totally my pleasure to look back at those ten years, and reminisce about books, family and friends. I look forward to future book conversations. And, please, let me know when you'll be here in February. We do have to get together - if nothing else, maybe at the Poisoned Pen. Happy New Year, Kay. And, thank you for your friendship. It was a fun, book-related decade, Elizabeth. I enjoyed sharing those memories. Thanks for the best wishes! I hope you have success in your writing career in the next years, and continue to enjoy the love of family and friends. Happy New Year, Elizabeth! What memories your decade list brings back! And I wish I had kept track of all my favorites. This year I'm participating in 4 reading challenges, going a bit outside my comfort zone. Can't wait. Have a wonderful new year filled with great books! I can't imagine that you have time to participate in four reading challenges, Deb, with the writing you must be doing. I'm glad that list of books brings back memories. Happy New Year, and I wish you success and good reading in the new year! I also see a lot of my favs on your list, but then again, many are my favs because you told me about them! Happy New Year to you and Jim. 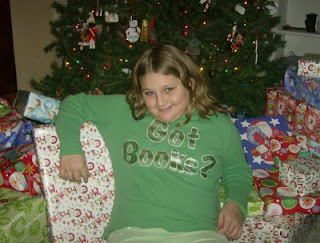 I look forward to sharing 2010 with you and books and blogs and fun! No need for thanks, Jen. You do keep me moving ahead. I thought you might agree with Louise Penny and Chris Grabenstein. I wasn't sure about others. Happy New Year, Jen! My toast this year is to good friends, and good books. May you have a wonderful 2010, with both in your life. What a wonderful post! Books and friends to mark a decade - if there's a better way to celebrate, I don't know what it is. Thanks for sharing your memories, Lesa - and have a very Happy New Year! Here's to another decade of more books and more friends. My perfect New Year's toast, Ingrid! To more books, and good friends! I don't know a better way to celebrate either. Thank you for stopping by regularly to comment, and visit. I always enjoy seeing the note from a friend. Thank you. And, Happy New Year! Oh, Lesa! What a wonderful way to not only wrap up the year, but to toast a decade. You are an inspiration. It's such an honor to be included on your list. And though Arizona isn't currently on my author tour, I know in my heart that we will meet. I'm working on it for 2010! Happy New Year to you, Jim, and your sweet fur babies. May there be many more decades of great books, friends, and joy! Thank you, Beth! I know we're going to get the chance to meet as well. As you've said, it's written in our Life Books. Happy New Year to you, Mark, and your fur babies! And, take care of yourelf. Early to bed tonight because you have a big year ahread of you. 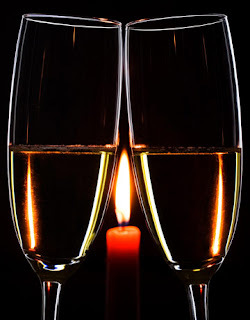 Here's to your special 2010, and many happy years in the future! You had a great year in books! Oh, how I wish I had a niece like Elizabeth! I loved CeeCee too and will be lucky enough to meet Beth in February! And thank you Lesa for marrying me, so we could spend our lives reading! Thanks for highlighting so many good books on your blog--it's a must read for me. What a wonderful post. I see we have similar tastes, and I was thrilled to see some authors I'm not familiar with---yet, but that will be fixed soon. Giving a summary of the decade was brilliant. I'm so glad to have you, your blog and reviews in my life. Here's to another great decade! I'm just really jealous you'll get to meet Beth. Maybe sometime! Happy New Year! And, I'm looking forward to your blog and comments in 2010. I'd do it again, Jim. Hard to believe I've known you over half my life now. Happy New Year. I love you. I enjoyed going back and looking at the books of the last ten years. It brought back some wonderful memories. I'm pleased to hear you agree with me on Dennis Lehane, and The Blue Edge of Midnight. That book isn't as well known as it should be. Thank you for the kind words about my blog. I wish you a happy, safe New Year, and a 2010 filled with love and good books! Thank you, Janet! What a nice compliment saying it was a brilliant idea. I just know it was fun to look back at the last ten years of books. And, thank you for everything you've shared in the last year, and the opportunities you've given me. In the next decade, I wish you good friends, great books, and wonderful chocolate! Happy New Year, Janet! This book gave me some honest insight into what my mother was going through at the time that she put her first born child up for adoption. The attitudes and perceptions are heartbreaking and since my mother was not alive to talk to me about that time, it was good for my soul to see it from the perspective of others who lived it and made it through. It also gave me the conviction to continue with my search because there were times that I wanted to give up because information was not available and nobody seemed to want to help me get the information I needed. Two months ago, I found that child (now 41! ), my brother, after searching for more than 20 years for him. It's been a lot of fun exploring our past with him, securing a present with him and hoping only good things for our future. I look for the next decade to be filled with so much more of everything, now that I have him in my life, and I owe a lot of that to that book. Here's wishing a very happy New Year to you and yours! Oh, Shannon. What a beautiful story about a book, and its influence on your life. And, what a powerful end to the decade, and a long search. Congratulations on finding your brother. Thank you for the wishes. I wish you nothing but a wonderful future with your family, including that special new-found brother. Happy New Year's, Shannon! I knew you would mention King's Edge - what a fun year that was! Wasn't it a great year, Ann? Of course, I mentioned that book! And, you know how I drove Jim crazy when I read the Deltora Quest books. Happy New Year, Ann! I hope 2010 is a wonderful year for you. You deserve great things! Lesa ....you had a terrific year. 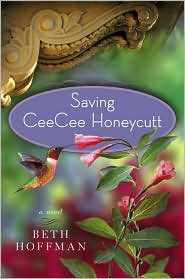 I so loved Saving CeeCee Honeycutt and well, and Beth seems so sweet. That's one great year and decade of reading, Lesa (see where I came up with that title). Thanks for this and Happiest of New Year's to you and yours. Diane, I'm glad you enjoyed Saving CeeCee Honeycutt as much as I did. I wish you the same for 2010 - terrific books, and terrific friends. le0pard13 - OK, I do see where you came up with that title. I guess 1500 books over ten years isn't too bad, is it? My pleasure! Happy New Year! Have a safe one, and I hope the next decade brings you the love of family and friends, and great books, and other media! Lesa - this is wonderful. Thank you for sharing your decade in books, and thank you for keeping the blogging bar up so high. You, my friend, are an inspiration to many. Me included. Kaye - oh, you of the wonderful blog, that is so popular with authors and readers alike. It's your spirit and willingness to speak the truth that draws all of us. Thank you for the compliment. It was fun to look back at all of the books, and pick the highlights of the decade. Happy New Year, and I'm looking forward to a year of reading your blog! Lesa, meeting you was definitely one of the highlights of my decade. Here's to the 20-teens! Louise! What a nice thing to say. Let's hope the 20-teens (or whatever they're going to be called) are terrific years for books and authors. Happy New Year! Oh, Lesa -- Jim's post to you made me a bit teary! How lovely. You and Jim met at a library...yes? I met my husband in a book store. Yes, Jim & I met in a library, you're right. I can't believe you and Mark met in a bookstore, but I should believe it by now, Beth. We have so many similarities!